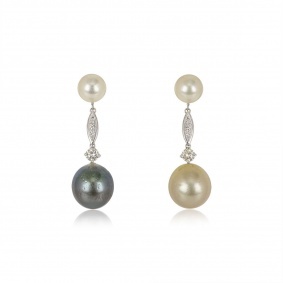 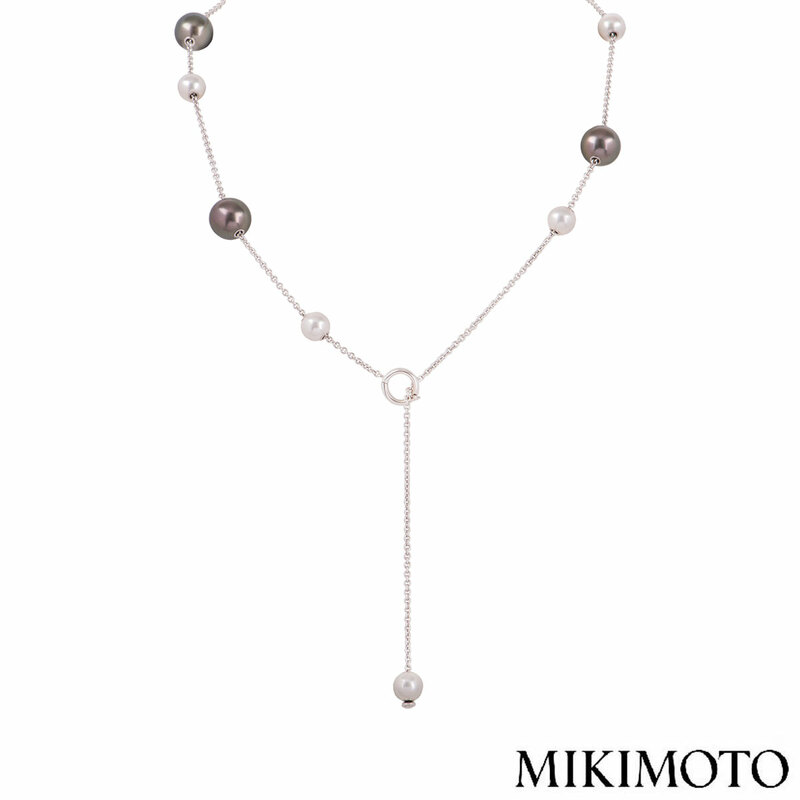 An 18k white gold pearl necklace by Mikimoto. 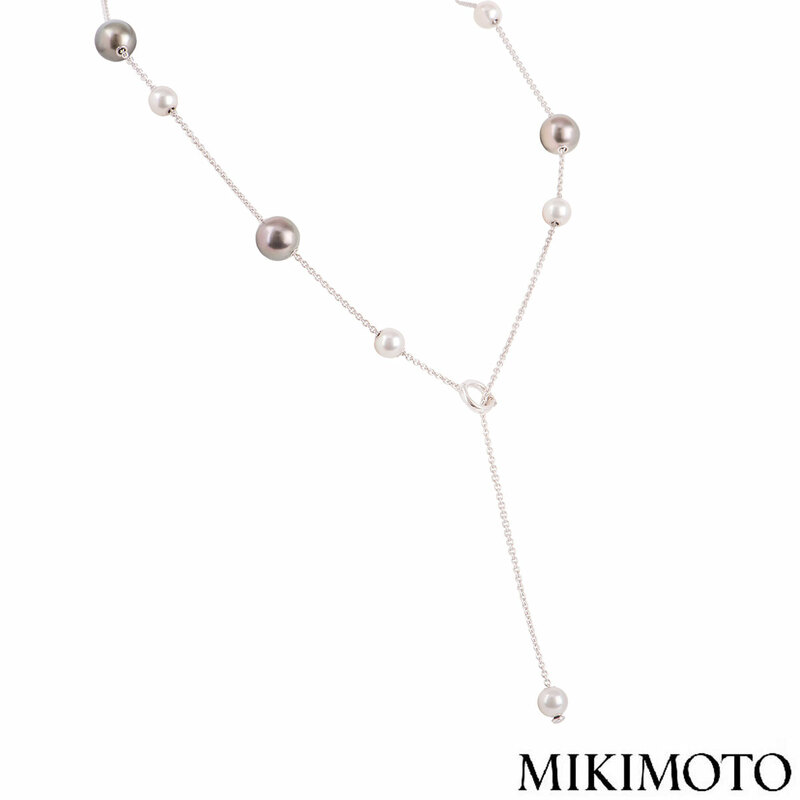 The necklace features 5 white pearls which measure 4.00mm in size and 3 grey pearls which measure 7.00mm in size which are spread out on the necklace and rotate freely. 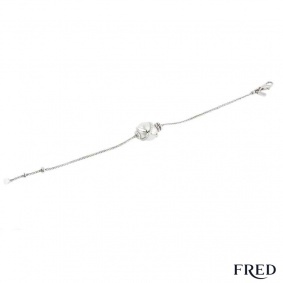 The necklace features a spring clasp on an adjustable chain with a total length of 18.20 inches with a gross weight of 12.70 grams. 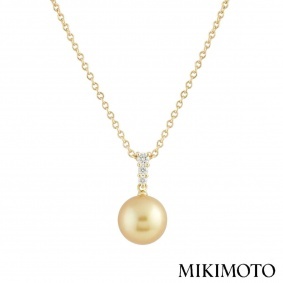 The necklace comes complete with a Mikimoto pouch and our own certificate of authenticity.